What has changed from the old rules? What is a visitor anyway? What can and can’t visitors do in the UK? A new set of rules for visitors to the United Kingdom has been introduced taking effect on all applications made on or after 24 April 2015. The changes are brought about by Statement of Changes to the Immigration Rules HC 1025. The new rules are set out in a new Appendix V to the Immigration Rules. V is for Visitor, not Vendetta, nor is it a reference to a trashy 1980s scifi show. 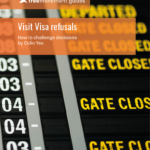 Appendix V does not represent any major change in what a visitor needs to show in order to be granted a visa but the rules are now presented very differently to the past and new guidance is also available. You will need to open Appendix V and scroll or search (ctrl-f) to find the relevant parts. If you are reading this to find out about the requirements for a visit visa under the old rules, you can skip this bit, which is intended for lawyers and advisers wondering what has changed. The definitions, application formality, general grounds and visa national requirements of the Immigration Rules are disapplied to visitors? Whoa, there! But not all is at it seems. Experienced immigration lawyers will start to think the new requirements in Appendix V sound eerily familiar. It gradually dawns that the plain language is an explanation of the effects of other parts of the Immigration Rules, namely the disapplied Part 1. This attempt at explaining things in plain language is admirable, although having to cross reference different sub appendices to appendices to the rules is somewhat less than convenient or simple. Appendix V to the Immigration Rules sets out the formal legal requirements for visitors. The Home Office also publishes guidance for its own staff on how to make decisions and apply the law (Visit Guidance and Considering human rights claims in visit applications) and also guidance for applicants on what documents to submit with an application (Visitor: supporting documents guide). Part V1 sets out some of the administrative and formal legal requirements for visitors about what they need to do to enter the UK. It explains the need to obtain permission to enter the UK with either a visit visa or leave to enter, that visa nationals must apply for a visit visa before travelling and that non visa nationals may apply before travelling but do not need to. Words which have specific legal definitions are in italics and the reader is told that the definitions are set out in “Appendix 1”, which actually means “Visitors Appendix 1”. There are several sloppy drafting mistakes of a similar nature in the rules. Part V2 tells an applicant about how to make a visit visa application (apply online, pay the fee, etc. ), that the date of application will usually be considered to be the date the fee is paid and that withdrawal of the application will not result in return of the fee. Visitors cannot work or study in the UK unless this is allowed by the permitted activities that are set out in these Visitor Rules. The rest of Appendix V then struggles to define in both positive and negative terms what a visitor is and is not, drawing on Austen-esque language such as ‘suitability’ and ‘eligibility’ and subcategorising different types of visitor. 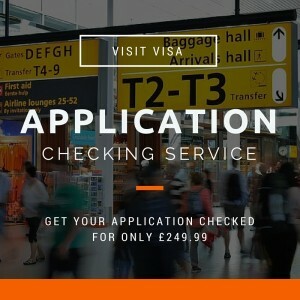 The funds can be provided by a third party — often referred to as a sponsor — if the third party has a genuine professional or personal relationship with the visitor, is legally present in the UK (or will be at the time of the visitor’s entry) and can and will provide support for the intended duration of the visitor’s stay: see paragraph V4.3. An undertaking may be requested of the sponsor. These requirements apply to all the categories of visitor, but some of the different categories also have additional criteria they must meet, described below. Standard visit Up to 6 months, except:(i) a visitor who is coming to the UK for private medical treatment may be granted a visit visa of up to 11 months; or(ii) an academic, who is employed by an overseas institution and is carrying out the specific permitted activities paragraph 12 of Appendix 3,of these Rules, along with their spouse or partner and children, may be granted a visit visa of up to 12 months; or(iii) a visitor under the Approved Destination Status Agreement (ADS Agreement) may be granted a visit visa for a period of up to 30 days. Transit Up to 48 hours, except for leave to enter as a transit visitor under the Transit Without Visa Scheme which may be granted until 23:59 hours on the next day after the day the applicant arrived. Here we can see that the supposed simplicity of the new visit visa categories breaks down and we can see that there are some subcategories. Standard visitors and transit visitors both have different subcategories of visitor within them. The “standard visitor” category actually includes several subcategories each of which has additional qualifying criteria. 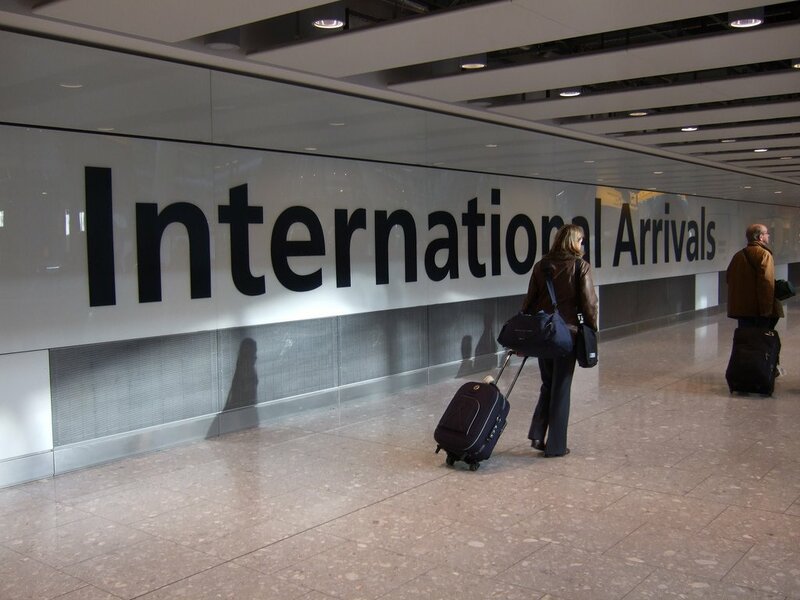 Basically, if a visitor is coming to the UK as a visitor for one of several defined reasons as set out below they will have to meet certain additional requirements over and above a normal standard visitor. If not coming to the UK for one the defined reasons then the visitor will be a true “standard” visitor. If the applicant is not applying or travelling with a parent or guardian based in their home country or country of ordinary residence who is responsible for their care; that parent or guardian must confirm that they consent to the arrangements for the child’s travel to, and reception and care in the UK. Where requested, this consent must be given in writing. if neither applies, the child may be refused entry unless they meet the requirements of the previous paragraph. If the applicant is suffering from a communicable disease, they must have satisfied the medical inspector that they are not a danger to public health. (c) where the consultation or treatment will take place. (b) provide a valid TB certificate if required. An applicant must satisfy the decision maker that they genuinely intend to donate an organ, or be assessed as a potential organ donor, to an identified recipient in the UK with whom they have a genetic or close personal relationship. The applicant must provide written confirmation of medical tests to show that they are a donor match to the identified recipient, or that they are undergoing further tests to be assessed as a potential donor to the identified recipient. (b) a UK registered medical practitioner who holds an NHS consultant post or who appears in the Specialist Register of the General Medical Council; which confirms that the visitor meets the requirements medical and confirms when and where the planned organ transplant or medical tests will take place. The applicant must be able to demonstrate, if required to do so, that the identified recipient is legally present in the United Kingdom or will be at the time of the planned organ transplant. group under the ADS agreement. (d) relate to the applicant’s area of expertise and occupation overseas. may examine students and/or participate in or chair selection panels, if they have been invited by a UK Higher Education Institution or a UK based research or arts organisation as part of that institution or organisation’s quality assurance processes. (c) An overseas designated pilot examiner may assess UK based pilots to ensure they meet the national aviation regulatory requirements of other countries, if they have been invited by an approved training organisation based in the UK that is regulated by the UK Civil Aviation Authority for that purpose. (d) A qualified lawyer may provide advocacy for a court or tribunal hearing, arbitration or other form of dispute resolution for legal proceedings within the UK, if they have been invited by a client. (e) A professional artist, entertainer, musician or sports person may carry out an activity directly relating to their profession, if they have been invited by a creative (arts or entertainment) or sports organisation, agent or broadcaster based in the UK. Children cannot be PPE visitors. A transit visitor is a person who seeks to travel via the UK en route to another destination country outside the common travel area. Reference is made to Direct Airside Transit Visas which can be obtained if the traveller will stay “airside” and never formally enter the UK. Otherwise, a transit visit visa must be applied for in advance of travel or those who qualify for the transit without visa scheme can apply for leave to enter on arrival. (d) are assured entry to their country of destination and any other countries they are transiting on their way there. The transit without visa scheme also has additional requirements which are set out at paragraphs V 7.6 to 7.9. Part V3 is entitled “suitability requirements for all visitors”. Jane Austen must be turning in her grave. In fact this part reintroduces the general grounds for refusal from paragraph 320 of the Immigration Rules but in plain English. This mandates or requires refusal of an application in some circumstances (‘will be refused’) and enables discretionary refusal (‘will normally be refused’) of an application in some circumstances. Applicant, when aged 18 years or over, breached the UK’s immigration laws: (a) by overstaying (except where this was for 90 days or less and they left the UK voluntarily and not at public expense); or (b) by breaching a condition attached to their leave; or (c) by being an illegal entrant; or (d) if deception was used in relation to an application or documents used in support of an application (whether successful or not). If one of these triggers applies, a re-entry ban of between 1 and 10 years will apply depending on circumstances and the highest relevant exclusion period will apply. An exclusion period of 10 years starting from when the trigger occurred is imposed if deception was used in an application for entry clearance or if the applicant was previously removed from the UK. Otherwise, an exclusion period of 5 years applies where the person left or was remove from the UK as a condition of a caution or where they left voluntarily but at public expense. Failing that, a 2 year ban applies if they left voluntarily at public expense or a 1 year ban applies if they left voluntarily at their own expense. Applicant fails without reasonable excuse to comply with a requirement to attend an interview, provide information, provide biometrics or undergo a medical examination or provide a medical report. If the application has previously breached UK immigration laws but is outside the relevant re-entry ban time period the application will normally be refused if there are other aggravating circumstances, such as a failure to cooperate with immigration control or enforcement processes. This applies even where the applicant has overstayed for 90 days or less and left voluntarily and not at public expense: see below. It is worth making representations for a ‘will normally be refused’ application because there is a discretion to grant the application and even if refused an appeal might potentially succeed. Where a refusal is mandatory, it would be very exceptional for an application to be granted, but it may be possible in some circumstances where the refusal is based on previous convictions: see this earlier blog post. The rules on what visitors can and cannot do are complex. Because of the ‘negative freedom’ way in which the law operates so as to allow all things which are not specifically prohibited, it is sensible to start with the specific activities that visitors are prohibited from carrying out. Conceptually, visitors are then permitted to carry out any other activity. There is a distinction between breach of a formal condition stated on a visa and doing something that is not permitted under the Immigration Rules for a particular type of visitor. The former is a criminal offence under section 24 of the Immigration Act 1971. The latter is a breach of the Immigration Rules and a breach of trust, effectively, and will have adverse future immigration implications if discovered by the Home Office. It is not a criminal offence, however. Paragraphs V 4.5 to 4.10 set out additional detail and prohibited activities. Study is here defined as any study beyond a maximum of 30 days of “incidental study” as permitted by Appendix 3. Any study in excess of that will necessitate an application under paragraphs A57A to A57H of the main Immigration Rules as “Persons seeking to enter the UK for short-term study”. Permitted activities must not amount to the applicant taking employment, or doing work which amounts to them filling a role or providing short-term cover for a role within a UK based organisation. In addition, where the applicant is already paid and employed outside of the UK, they must remain so. (f) paid performances at a permit free festival as listed in Appendix 5. Other prohibited activities include intending to access health treatment, unless it is private health treatment or donating an organ and the relevant additional eligibility criteria are met, and intending to get married or enter a civil partnership (or give notice) unless in possession of a visit visa endorsed for such a purpose. A visitor may visit friends and family and / or come to the UK for a holiday. A visitor may undertake incidental volunteering, provided it lasts no more than 30 days in total and is for a charity that is registered with either the Charity Commission for England and Wales; the Charity Commission for Northern Ireland; or the Office of the Scottish Charity Regulator. (g) be briefed on the requirements of a UK based customer, provided any work for the customer is done outside of the UK. on a specific internal project with UK employees of the same corporate group, provided no work is carried out directly with clients. An internal auditor may carry out regulatory or financial audits at a UK branch of the same group of companies as the visitor’s employer overseas. may come to the UK for discussions to secure funding from one of the above sources which they intend to use to join, set up or take over a business in the UK. An employee of a foreign manufacturer or supplier may install, dismantle, repair, service or advise on equipment, computer software or hardware where it has a contract of purchase or supply or lease with a UK company or organisation. A client of a UK export company may be seconded to the UK company in order to oversee the requirements for goods and services that are being provided under contract by the UK company or its subsidiary company, provided the two companies are not part of the same group. Employees may exceptionally make multiple visits to cover the duration of the contract. (b) share knowledge or advise on an international project that is being led from the UK, provided the visitor is not carrying our research in the UK. (c) if they are an eminent senior doctor or dentist, take part in research, teaching or clinical practice provided this does not amount to filling a permanent teaching post. An expert witness may visit the UK to give evidence in a UK court. Other witnesses may visit the UK to attend a court hearing in the UK if summoned in person by a UK court. An overseas lawyer may advise a UK based client on specific international litigation and/or an international transaction. Religious workers may visit the UK to preach or do pastoral work. (d) take part in one or more cultural events or festivals on the list of permit free festivals in Appendix 5 (where payment is permitted). Personal or technical staff or members of the production team of an artist, entertainer or musician may support the activities in paragraph 16 of this Appendix or paragraph 1(e) of Appendix 4, provided they are attending the same event as the artist, entertainer or musician, and are employed to work for them outside of the UK. 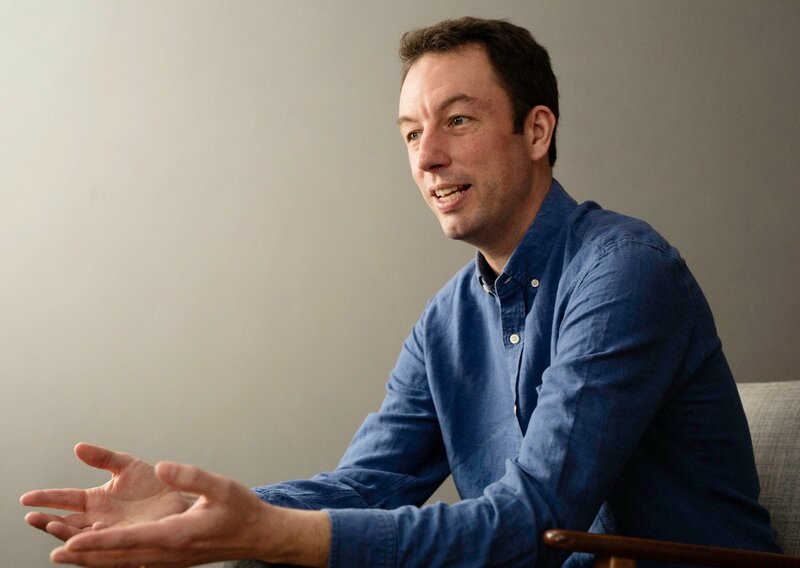 Film crew (actor, producer, director or technician) employed by an overseas company may visit the UK to take part in a location shoot for a film or programme that is produced and financed overseas. (e) join an amateur team or club to gain experience in a particular sport. Personal or technical staff of the sports person, or sports officials, may support the activities in paragraph 19 of this Appendix or in paragraph 1(e) of Appendix 4, if they are attending the same event as the sports person, and are employed to work for them outside the UK. (g) a professor from an overseas academic institution accompanying students to the UK as part of a study abroad programme, may provide a small amount of teaching to the students at the host organisation. However this must not amount to filling a permanent teaching role for that institution. Employees of an overseas company or organisation may receive training from a UK based company or organisation in work practices and techniques which are required for the visitor’s employment overseas and not available in their home country. An employee of an overseas based training company may deliver a short series of training to employees of a UK based company, where the trainer is employed by an overseas business contracted to deliver global training to the international corporate group to which the UK based company belongs. (ii) a short-course (which includes English language training) at an accredited institution. An individual may receive private medical treatment provided they meet the additional eligibility requirements at V 4.14 – V 4.16. An individual may act as an organ donor or be assessed as a potential organ donor to an identified recipient in the United Kingdom, provided they meet the additional eligibility requirements at V 4.17 – V 4.20. It is possible to extend stay as a visitor only in very limited circumstances under the rules. In exceptional circumstances and application outside the rules might be contemplated, however. An application for an extension of stay as a visitor must satisfy the decision maker that they continue to meet all the suitability and eligibility requirements for a visit visa. The applicant must not be in the UK in breach of immigration laws, except for any period of overstaying of 28 days or less which will be discounted. (b) provide a letter from a registered medical practitioner, at a private practice or NHS hospital, who holds an NHS consultant post or who appears in the Specialist Register of the General Medical Council, detailing the medical condition requiring further treatment. A standard visitor or a visitor for marriage or civil partnership who was granted a visit visa or leave to enter for less than 6 months may be granted an extension of stay as a visitor so that the total period they can remain the UK (including both the original grant and the extension of stay) does not exceed 6 months. A standard visitor who is in the UK for private medical treatment may be granted an extension of stay as a visitor for a further 6 months, provided this is for private medical treatment. A standard visitor who is an academic on sabbatical leave and is in the UK undertaking their own research, or the spouse, partner or child accompanying such an academic, can be granted an extension of stay as a visitor so that the total period they can remain in the UK (including both the original grant and the extension of stay) does not exceed 12 months. A standard visitor may be granted an extension of stay as a visitor for up to 6 months in order to resit the Professional and Linguistic Assessment Board (PLAB) Test, provided they meet the requirements at Appendix 3, paragraph 22(b)(i) of the main Immigration Rules. A standard visitor who is successful in the Professional and Linguistic Assessment Board Test may be granted an extension of stay as a visitor to undertake a clinical attachment, provided they meet the requirements of Appendix 3, paragraph 22(a) so that the total period they can remain in the UK (including both the original grant and the extension of stay) does not exceed 18 months. There is no provision in the rules for extensions of stay beyond these limits. Visit visas can be cancelled or curtailed in certain circumstances. These are set out in Part V9. 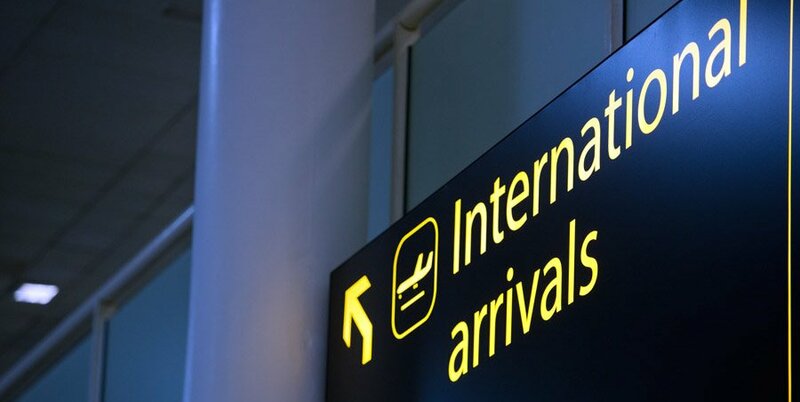 there has been such a change in the circumstances of the case since the visit visa or leave to enter or remain was granted that the basis of the visitor’s claim to admission or stay has been removed and the visa or leave should be cancelled. the visitor holds a visit visa and their purpose in arriving in the United Kingdom is different from the purpose specified in the visit visa. it is undesirable to admit the visitor to the UK for medical reasons, unless there are strong compassionate reasons justifying admission. the person is outside the UK and there is a failure to supply any information, documents, or medical reports requested by a decision maker. In related news, student visitors are rebranded as “Persons seeking to enter the UK for short-term study” and moved to new paragraph A57A to A57H of the rules. The “parent of a child at school” route is rebranded as “parent of a Tier 4 (child) student” and placed into Part 7 of the Immigration Rules.